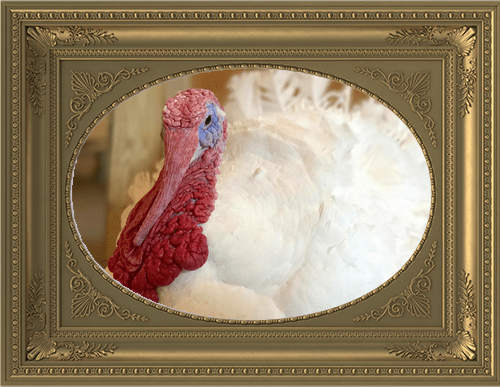 Andy came to Skylands together with another turkey named Robin around July of 2015. They were supposed to be Thanksgiving birds. They are called broad-breasted white turkeys. Someone just dropped them off mysteriously and didn’t wait to give an account of their story but we know they’re safe and sound now.